If you’ve ever thought about going to Germany but don’t have the time or money, there is a convenient and very authentic German restaurant just South of downtown Colorado Springs that will most definitely offer you a glimpse into the culture. 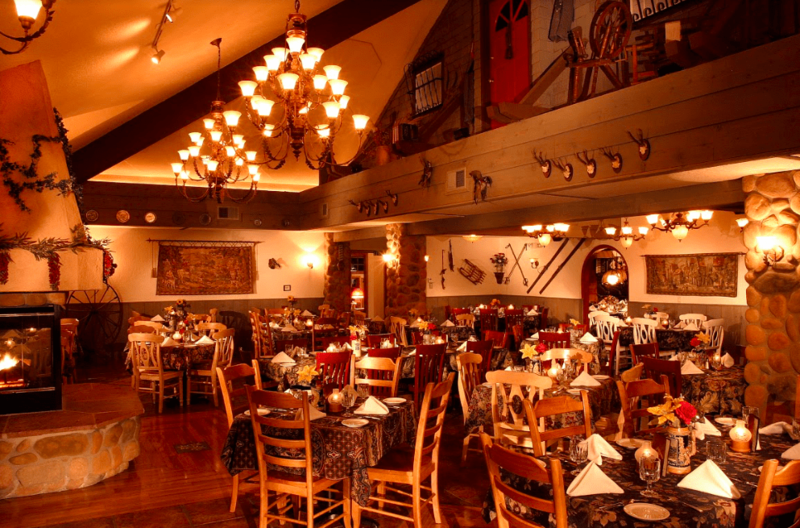 The Edelweiss Restaurant has a long and informative history dating back to 1901 when the original structure was the Ivywild schoolhouse, which remains close by to the establishment to this day. The school was used until 1915 when the two-room building was no longer large enough for the students. The old schoolhouse was relocated a couple blocks away from the original site and turned into the restaurant in 1967. Then in 2001, architects from Heilbronn, Germany, along with a local architect and builder, renovated the building while keeping the meticulous atmosphere and original structure intact. The East wing was expanded, a front foyer was added and handicap accessibility was created. Finally in 2008, the last of the renovations were completed, adding a small bar, banquet room and pastry area. Today, the restaurant is owned by Helga Schnakenberg, who is originally from the Heidelberg region of Germany. Schnakenberg has worked at Edelweiss since 1969 when she moved to the U.S, and by 1989, she and her husband had decided to purchase the restaurant. She continues to explain some of their most popular dishes, including the wienerschnitzel, jägerschnitzel and rahmschnitzel. “And then of course you have your sausages, sauerkrauts, things like that, traditional German meals” she added. With happy hour nightly from 4:30 p.m. to 6:30 p.m. in the pub-like basement, you are sure to enjoy one of their specialty drinks or many beers imported from Germany. The Warsteiner pilsner is Germany’s number one selling beer and is one of the many options available. With most dinner entrees comes a traditional-style German salad, which gives a small sampling of their pickled foods. This appetizer comes with their wonderful potato salad, which is very different than the American kind, incorporating beets, green beans and more. On Fridays and Saturdays, the restaurant is full of culture with strolling musicians playing the accordion. Musicians not only play genuine German music, but modern day music by request as well. Many staff members come directly from Germany- some have even learned English for the first time when they started working at Edelweiss and contribute to the detail-oriented decor and atmosphere that significantly adds to the experience. The one thing everyone must try is one of their many desserts made from scratch by their own Swiss pastry chef Alfred Hiltbrunner. Schnakenberg mentioned the variety of tortes made in their bakery like the hazelnut and chocolate tortes. The German Chocolate cake is a one of a kind delicacy, as well as the several strudel and seasonal stollen options. Desserts can be ordered after your meal, or they can also be ordered for take out. With a review rating on Google of 4.5/ 5 and such exceptional service, food and atmosphere, Edelweiss is a place definitely worth trying. Whether you have German in your background or none at all, disappointment is a rarity. Come with an empty stomach and be prepared to be stuffed. Prost Freunde!